Extended Grace is a nonprofit grassroots movement to create a stigma free community. We believe that as human beings we can all do a better job extending grace to each other and to ourselves. We provide opportunities to do so by forming collaborative relationships and offering programs and events to nurture, educate and inspire individuals so that together we can address issues of social justice and human rights. Just Goods Gifts and Café is a store through which we sell traditional fair-trade items, as well as items made by inmates involved with Humanity for Prisoners, students enrolled in Ottawa Area ISD’s Young Adult Services, and Wesley School (Muskegon Area ISD). CBI and Wesley School provide instruction for 18 to 26-year-old people who have disabilities. The café sells Aldea coffee, hot teas, Leppinks donuts and Grand Finalé cookies for $1 in a space the encourages social integration and the dismantling of stigma. Extended Grace regularly organizes discussions, presentations, and meetings about the issues affecting our community. These conversations are spaces for reflection, support, planning, and action. Topics center on social justice and human rights, particularly around marginalized and disenfranchised populations. Learn more about our town hall meetings and Inspire! events. Extended Grace conducts Cultural Immersion Experiences in order to offer cultural immersion experiences around the world. Cultural immersion is not a vacation or a service trip. Instead, it is an opportunity to learn about community and culture. In the process, participants are given an opportunity to see the lens through which they see the world. Mudita is Sanskrit for “I rejoice in your good fortune.” It is a reminder that what any one person receives is a gift for all and that we need to live in an atmosphere of abundance and generosity rather than scarcity, competition, and fear. 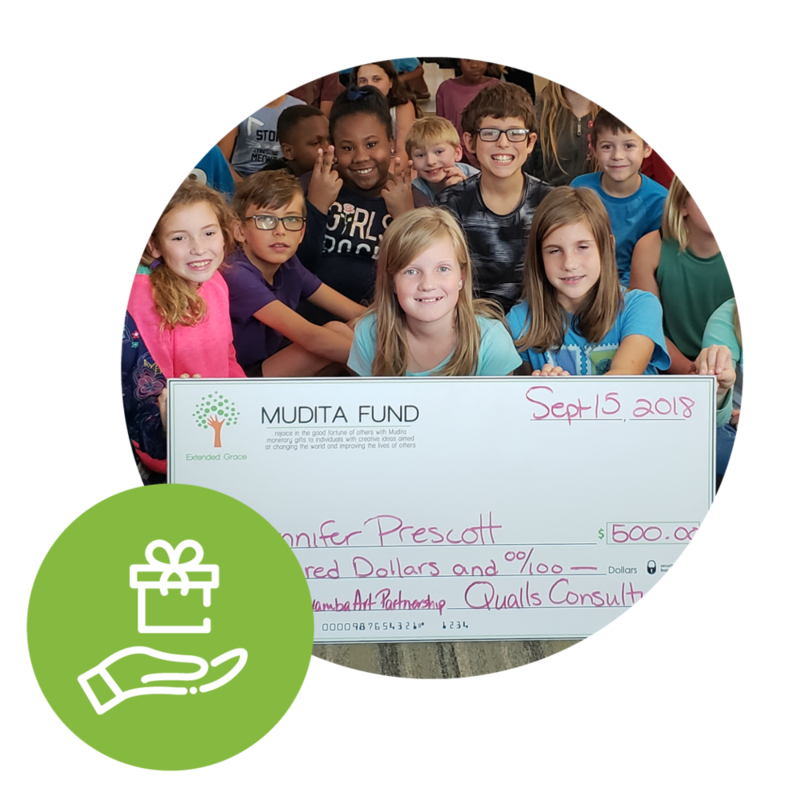 Extended Grace offers a limited number of Mudita monetary gifts to individuals with creative ideas aimed at improving the lives of others. We all know that an organization with such an important mission needs financial resources to achieve its goal. But more importantly, this vision can only be achieved if people believe in this dream. If we have sparked your imagination and you can see the possibilities ahead, we hope you will take the time to explore opportunities to support Extended Grace financially and otherwise.